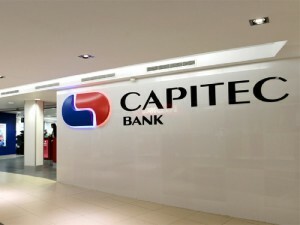 Capitec Bank was established in 2001 and has steadily proven itself to be a dynamic and fast-growing institution which has far-reaching influence. Now considered one of the foremost banks on the African continent, Capitec is steadily continuing to grow. One of the factors that have contributed towards its continued success has been its simplified banking solutions. In addition to paperless banking solutions, it has innovated Sunday banking in the country – giving clients more frequent and convenient access to various solutions. By developing the Global One Banking solution, Capitec Bank has given clients a way to transact, save and have access to credit. With this product, over 6.2 million Capitec clients are given the opportunity to obtain credit to help them through challenging financial months. With the Global one account, you have access to R200 000 in finance. Repayment terms are flexible and give clients 84 months to repay loan amounts. Based on personalised credit profiles and affordability assessments, individuals are given credit that suits their financial standing and foreseeable payment ability. The money is available immediately in your transactions /savings account as soon as it’s approved. Repayments are fixed, so your instalments remain unaffected by changes in the interest rate. You’ll also get free retrenchment and death cover as part of your loan, which ensures that the debt is covered in the event of your death. Contact Capitec by calling 0860 10 20 43.